Let’s get together, soar like eagles and make some tracks that matter . . .
A service organization promoting volunteer activities . . . Being involved in local communities is characteristic of the Johnson Controls community — company, employees and retirees. The many aspects of Community Focus and activities supported by the Johnson Controls Foundation, show the variety and global reach of company and employee activities. 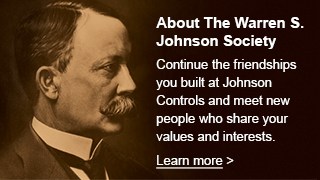 Engagement in work and community has long been a feature of the Johnson Controls career experience. U.S. Small Business Administration SCORE program. This is an active group of people. there are lots of ways members contribute to the well-being of others. Oh, and volunteering to participate in activities of the WSJ Society goes on that list too. Do you think the future of the WSJ Society should have us more actively promoting volunteer activity? Ways to promote volunteer activity . . .
One of the easiest ways of doing that is to share experiences. Sharing your volunteer experience may give another member an idea on where they could best focus their commitment to contribute. What volunteer experiences would you like to share? Unique advantage of the Johnson Controls community . . .
A unique advantage of volunteer participation with the Johnson Controls community is the leverage gained by applying resources of the company, employees, and retirees. Leverage? Sounds like a Sales thing you say? The Education and Arts Matching Gift Program is an example, leveraging dollars — the company matching employee and retiree contributions. The same applies to contributions to the United Way where that match is available. By the way, Alex Molinaroli is a co-Chair for the MIlwaukee/Waukesha United Way 2015 Campaign. But the opportunity is not limited to only dollar contributions. The recent invitation to participate in the “Bowl for Kids’ Sake” event, a fund raiser for Big Brothers Big Sisters, leverages relationships — Johnson Controls, its employees, retirees, and contractors. That’s some serious power if we can really engage employees, retirees, and their networks of contractor relationships. Here’s the opportunity. Retirees could be part of a project team. And, for the first time, projects will be accepted from the Milwaukee Area. This is an opportunity to leverage company grant with the time, talent, and networks of employees and retirees. Check out the story Blue Sky Opportunity! Do you think that engaging employees and retirees for Blue Sky Involve projects would be a good focus for WSJ Society? Another way to promote volunteer opportunities is to let members know them. Our website, WSJSociety.com has a calendar. It could be used to post announcements of volunteer or contribution events. It could be used to announce events at any location. That was the initial intent for the calendar. All that is needed are volunteers to identify upcoming events in their local area — no special computer skills required. Would alerts for volunteer events on WSJSociety.com would be of value to you? OK, that’s enough for now. This page is all about volunteering as a significant focus for the future of the WSJ Society. Please let us know what you think. Let’s continue the discussion . 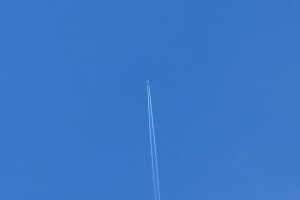 . . and by the way, check out Blue Sky Involve now. Proposals for this year’s projects are due by the end of April. We can be better together!